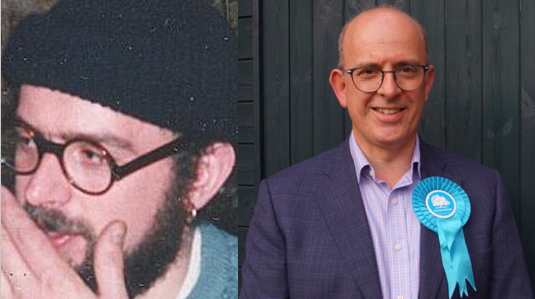 Andy Coles, Tory councillor for Peterborough, infiltrated the animal rights movement as Andy Davey in the 1990s. In May 2017 it was revealed that Andy Coles infiltrated the peace and animal rights movements from 1991-95 as Andy Davey. He was a member of the disgraced secret Special Branch unit called the Special Demonstrations Squad. While undercover he began an intimate relationship with a 19 year old activist named Jessica (not her real name). He lied to her saying he was 24 when he was really 32 and married. Coles was also Deputy Police & Crime Commissioner for Cambridgeshire. He resigned three days after his sordid past was revealed but has clung on as councillor. There is now a grassroots campaign calling for him to step down and a public meeting in September was attended by 30 people. Since then every house in the Fletton and Woodston ward (which Coles represents) has been leafleted. Show your disgust at Andy Coles’ actions and join us in calling for his resignation or dismissal. Come to the demonstration, bring banners & placards. Make a noise about it on social media. Talk to your friends.